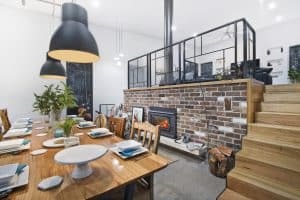 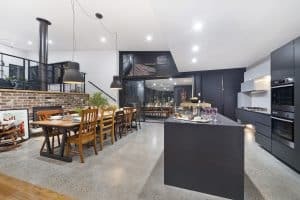 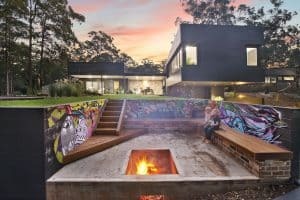 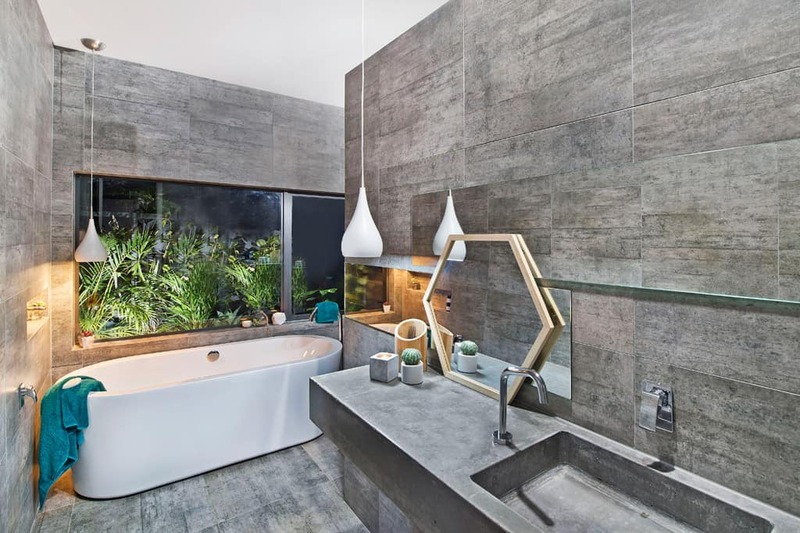 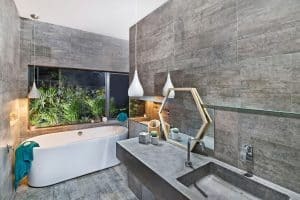 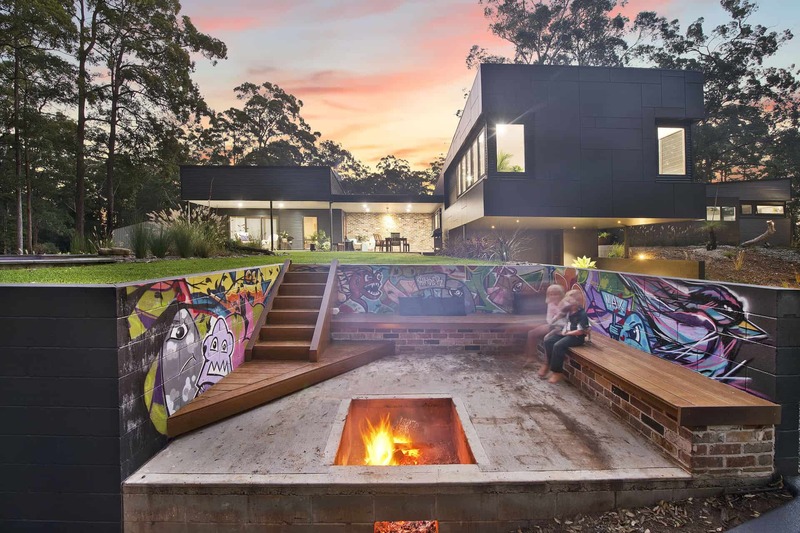 This award-winning home showcases a multitude of modern, industrial themed attributes, ranging from the polished concrete & timber floors, feature graffiti art-work, fire-pit and re-cycled convict bricks and carries through to the river-inspired swimming pool. 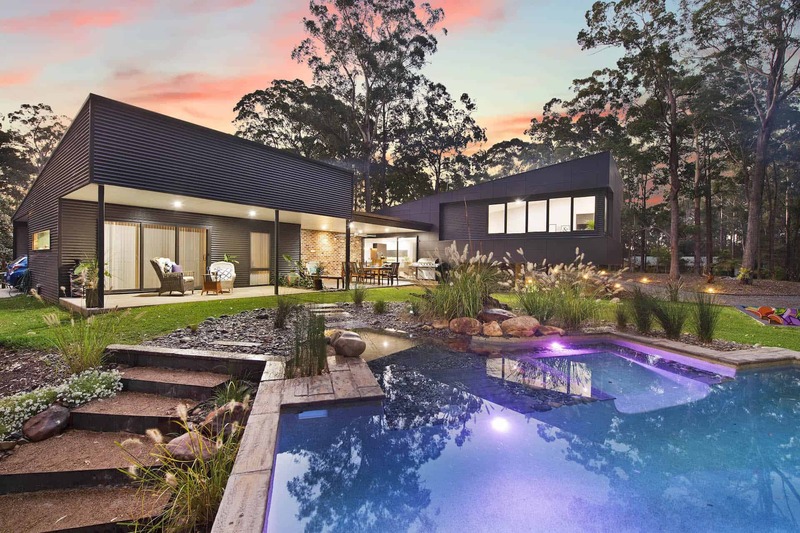 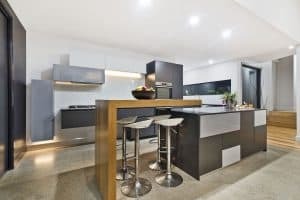 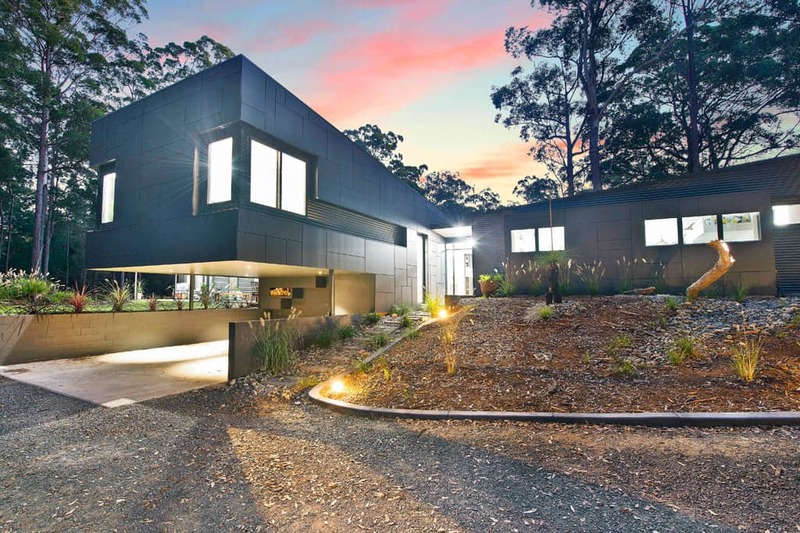 The owner's "must haves" included sensitivity to the site's natural characteristics and bushland setting, energy efficiency, outdoor living, separate guest accommodation and of course, the construction costs to fit within a modest budget. 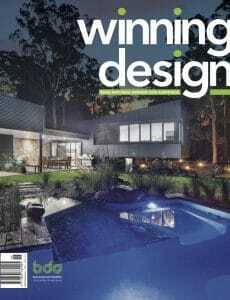 They were delighted with the completed product which not only met with, but exceeded their expectations. This home offers a seam-less integration between the indoors and outdoors and illustrates the high standard of craftsmanship guaranteed by Shipway Constructions.